Luxury Massage Oil is our blend of Almond, Grapeseed and Jojoba with added Vitamin E.
Our Luxury Massage Base is a combination of Almond, Grapeseed and Jojoba carrier oils and added vitamin E in a custom blend that gives just the right amount of friction & skin penetration. Add your own essential oils or use alone for deep tissue work. This is the base that we use for all of our "Ready to Use" Massage Blends. 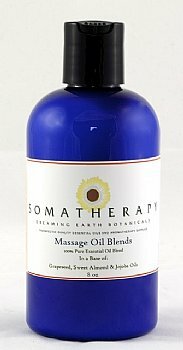 This massage oil base can also be used as skin moisturizer or bath oil.